Grab yourself a can of sweetened condensed milk, a big pot, and some water! That’s all you need to make the easiest caramel sauce ever! Caramel is one of the earth’s best treasures. There is nothing like that silky smooth, golden sauce to make everything better! From mixing it in ice cream like Chocolate Caramel Toffee Ice Cream and Pumpkin Caramel Walnut Ice Cream, to adding it to brownies like Chocolate Caramel Brownies, caramel just makes everything better! I’ve made caramel the traditional way with heavy whipping cream, and even experimented with making sugar-free versions. But I’ve found the best success using a simple can of sweetened condensed milk, a large pot, and boiling water. 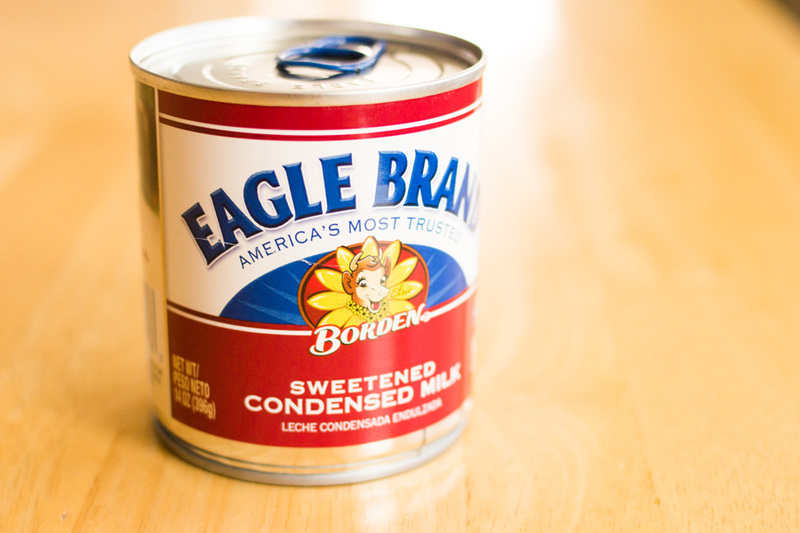 1.Before boiling your can of sweetened condensed milk, you should remove the outer wrapper. Nobody likes paper floaties. 2. Next, get a really big pot. Much bigger than you think you will need. I will tell you why in just a second. 3. Put your can at the bottom of the pot on its side. 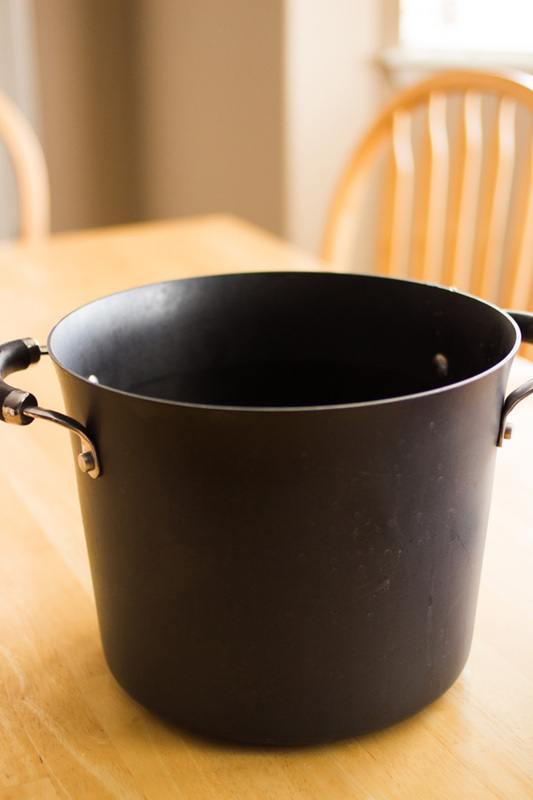 Then fill the pot with water, all the way to the top. 4. Now you’re going to boil your can of sweetened condensed milk for two to two-and-a-half hours. 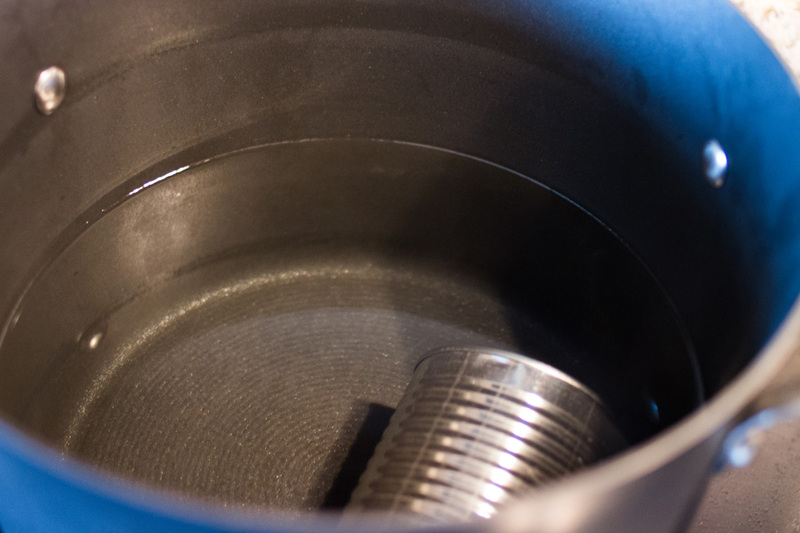 Just bring the water to a nice boil, then reduce the heat so the water just simmers or sustains a low boil. Now we come to the reason for using a big pot and filling it to the top. After two-and-a-half hours, can you see how much water has evaporated? You can see the original water line, and then the new water line. The first time I tried this, I did not add enough water, and too much boiled out. You want your can to remain covered with water at all times. Otherwise, bad things can happen (such as explosions). I do think that my first can started to bulge a little because it was not totally submerged the whole time. If your water starts to get low, just add some more. 5. After the two-and-a-half hours, remove the pan from heat and just let everything cool down for a little while. Pour out most of the water and remove the can with tongs or something else to protect you from the heat if it is still hot. Pretty swell, right? And all you did was boil water! What’s even more awesome about this caramel sauce is that it doesn’t freeze in ice cream! Remember how I went through all that experimentation to make a caramel that could be added to ice cream at room temperature (the caramel, not the ice cream) and not freeze rock hard in freezer? Turns out that my answer was super simple! No reason to mess around with sugar substitutes and worry about chemistry and freezing points. This caramel with condensed milk works perfectly! The next time you need some caramel sauce, give this easy method a try. Then drizzle over ice cream, use as a dip for apples, or just eat it by the spoonful! The easiest caramel sauce ever made with just a can of sweetened condensed milk, a big pot, and water! 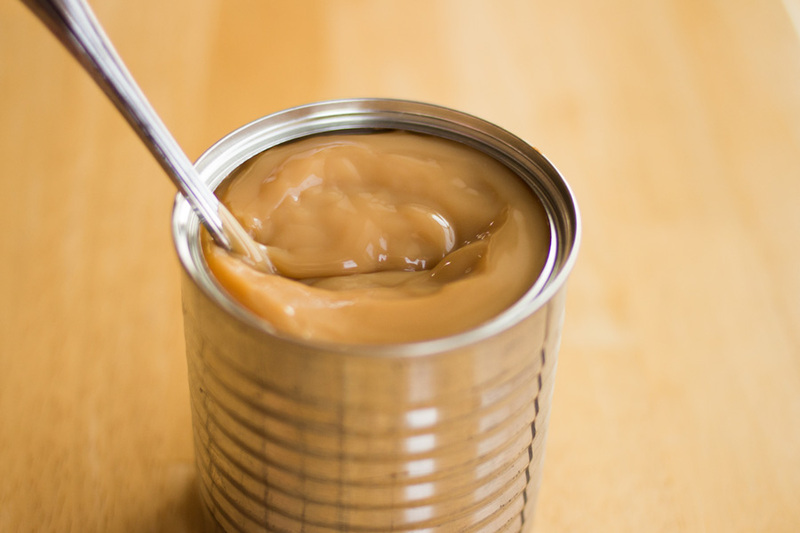 Remove the paper wrapper from the can of sweetened condensed milk. 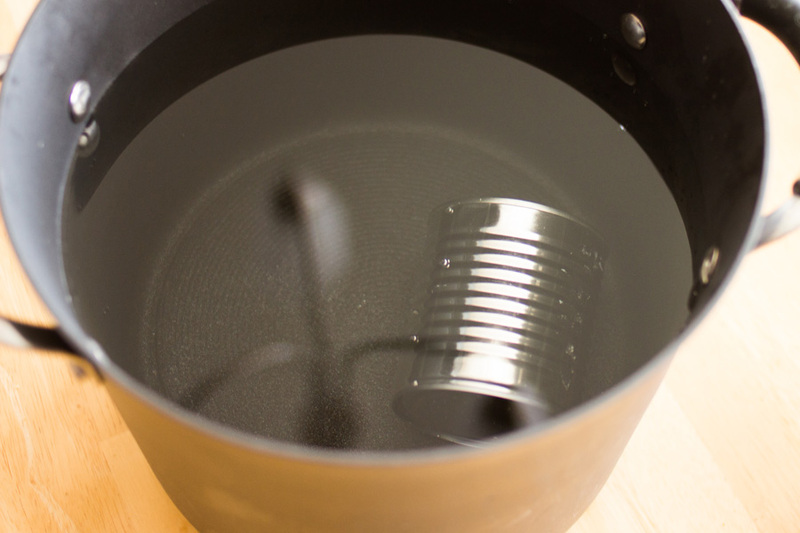 Place the can on its side at the bottom of a large pot. Fill the pot almost to the top with water. Bring the water to a boil over high heat. Then reduce the heat to a low boil or simmer and continue boiling for 2 1/2 hours. Watch the water level. If it starts getting too low, add more water. The can needs to be covered at all times. After the 2 1/2 hours, remove the pot from the burner and use tongs to remove the can of sweetened condensed milk from the water. Allow to cool for at least 30 minutes before opening the can. Make sure to scroll up in the post for step-by-step pictures and instructions. Yes, it is! I only wish I had discovered this sooner! Love this sauce! Do you refrigerate leftovers or leave out room temperature? I usually refrigerate it, just because it is a milk-based confection. Glad you love it! 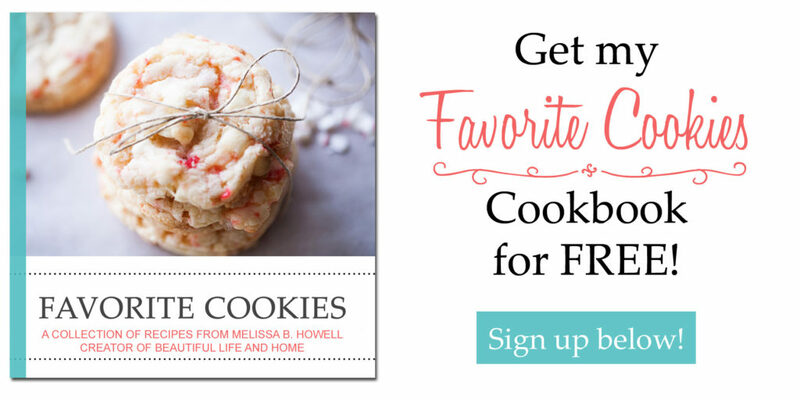 Can you use a crockpot on high for 2 hours instead ?